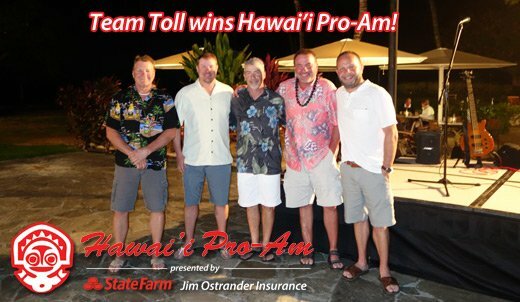 The Pacific Northwest Winter Pro-Amateur Championship presented by State Farm – Jim Ostrander Agency recently returned to Mauna Lani Resort in Hawai’i. We had 11 teams in Hawai’i for seven days, enjoying the sunshine and hospitality of the Mauna Lani Bay Hotel on the Big Island for the 40th Annual Pacific Northwest PGA Winter Pro-Am. Host professional Tom Sursely welcomed the players to the popular Mauna Lani North and South courses in between excursions to the volcano, deep sea fishing and just soaking up some rays at the many beaches on the island. When the dust settled, Jason Aichele from Meadow Springs CC and Greg Manley from Meridian Valley CC took home low professional honors. Mike Toll and his friends from Maplewood GC took home the team title. Congratulations! The Pacific Northwest Winter Pro-Amateur Championship presented by State Farm – Jim Ostrander Agency is a five-man team, of one professional and four amateurs playing stableford competitions. There are daily team prizes, daily professional prizes, daily amateur gross and net prizes as well as overall prizes for the professionals and teams. There are many different ways a player could cash! In addition to the sponsorship by State Farm and Jim Ostrander, we are happy to welcome Garth Mattson and Linksoul for providing the team shirts. 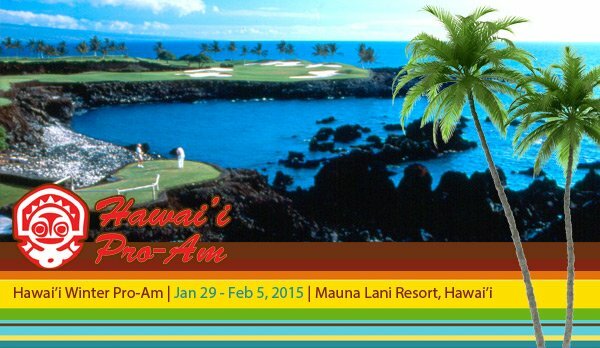 Teams played Saturday, January 31 at Mauna Lani – South Course, Monday, February 2 on the North Course before returning to the South Course on Tuesday, February 3. Mauna Lani Resort’s two championship golf courses, Mauna Lani North and South, offer a challenging experience to novice and professional golf enthusiasts alike. Mauna Lani has received Golf Magazine’s Gold Medal Award every year since 1988 and was host to the Senior Skins Golf Game for 11 years. The courses are masterpieces of design, each strikingly different, yet equally challenging. Each course is a world apart geographically, and in playing experience.